What Happened To narutocentral.com ? One of my favorite naruto anime site is narutocentral.com. It allows me to really download manga and naruto episodes. Unlike other websites where they force you to read and watch naruto chapters on their website just to keep their website open, narutocentral.com will really give you an option whether you watch or read it or just directly download the chapters so you can still enjoy it offline. Until recently where it surprised me when I was redirected to some fandom.com. So my question is what happened to narutocentral.com ? Why is narutocentral.com down? Because I don't want fandom.com. Navigation is too complicated, I don't know how to read manga or watch naruto episodes. Do you also hate fandom.com? Let our voice heard, comment below ! 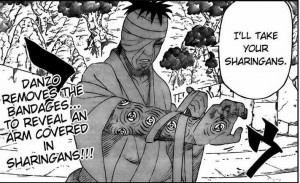 After weeks of research, I have known that narutocentral.com was shutdown and the current website that we have been redirected to, fandom.com - who's really run narutocentral.com, doesn't even offer manga or episodes is because the real naruto owners had filed a case against these pirates. The same reason why onemanga.com shutted down is because if a website is having significant amount of traffic, naruto owners make a move to stop them. That is if you're big enough, I think. i totally agree, there's no episodes now or manga! yeah, they just shutted down the site without even a simple warning. i think they should at least obliged to give us a notification a week before. they just nothing but big disappointments. nice share, thanks for that! narutocentral.com is down? they are nothing but indecent people. they just leave us just like that??? I miss narutocentral best naruto site ever! any good site where i can download naruto? punch of the previous feature, "The Road to Ninja," Kobayashi compensates with flamboyant visuals that mix CG, drawn animation and elegant calligraphic figures.